A study in the Journal of Strength and Conditioning Research showed that over 9 weeks of training, higher volume using a lighter load was superior to lower volume heavier load for building muscle in untrained females. If it’s been a while since you hit the weight room, or are venturing into the iron jungle for the first time, a study on untrained females published in the Journal of Strength and Conditioning Research offers some tips for selecting the optimal load. 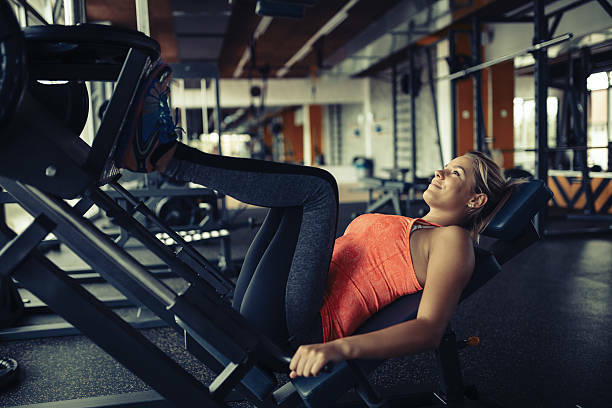 Thirty-two female volunteers in their early 20s took part in a 9-week weight training program consisting of leg extension, leg press and leg curl exercises. Twice weekly they performed 3 sets of each exercise with 60 to 90 seconds of rest between sets. Some subjects used a lower load enabling them to complete 30 to 35 reps during the first set. Other used a higher load where subjects could only perform 8 to 10 reps during the first set. All sets were performed to the point of voluntary fatigue. Compared to tests taken before the training program started, both groups realized muscle size gains, and the higher volume low load routine was more effective than the heavier load. Both routines also helped build muscle strength, and there were no significant differences between groups. This article sponsored by Isopure.